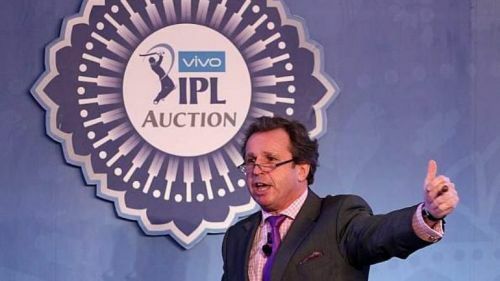 The IPL 2019 auction is just a few days away and the teams are coming up with new strategies for the upcoming season and plotting their buys as well. The auction is set to take place in Jaipur on December 18. Just a few weeks ago, the teams announced the list of players to be retained and released for the 2019 edition of the tournament. While a lot of the usual suspects were retained, there were a few big names who were released by a few of the franchises. The Kings XI Punjab, who finished at the bottom of the table last time around, released both Yuvraj Singh and Aaron Finch from the squad. Finch then decided not to take part in the tournament due to the busy schedule in 2019, including the ICC World Cup. His Australian counterpart, Glenn Maxwell, too decided to do the same once he was released by the Delhi Daredevils. With just a few days left for the auction now, the IPL Governing Council released the list of players available for the upcoming auction. A total of 346 cricketers, including 227 Indians have been named. Along with this, the Council also released the salary of the players retained by each of the teams. Amongst the players in the auction, there are quite a few who are in the Rs. 2 crore category. Amongst the foreigners, England's Sam Curran and Chris Woakes, South Africa's Colin Ingram, Sri Lanka's Angelo Mathews and Lasith Malinga, Australia's Shaun Marsh and D'Arcy Short, and New Zealand's Brendon McCullum and Corey Anderson are all in the top category. Amongst the Indians, Jaydev Unadkat, who was released by the Rajasthan Royals, will enter the auction at a base price of Rs. 1.5 crore. Axar Patel, Wriddhiman Saha, Mohammed Shami, Yuvraj Singh, and Ishant Sharma, each enter the auction at the base price of Rs. 1 crore.